Film Plot: In 1997, when the US President crashes into Manhattan, now a giant maximum security prison, a convicted bank robber is sent in for a rescue. Grade: C7-C8	Fine to Very Fine. Folded, single-sided. Theater-used poster with minimal handling/edge wear, multiple staple holes around the border. From John Carpenter, the original master of the genre film–a torch now carried by Quentin Tarantino). 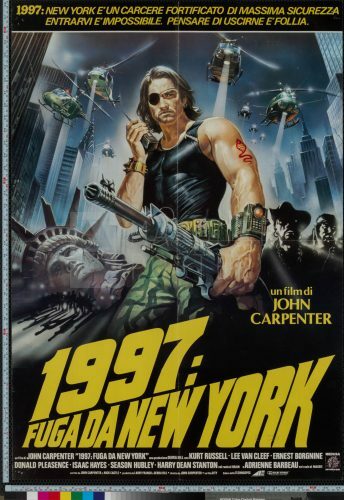 Escape from New York is easily one of Carpenter’s best and most beloved! 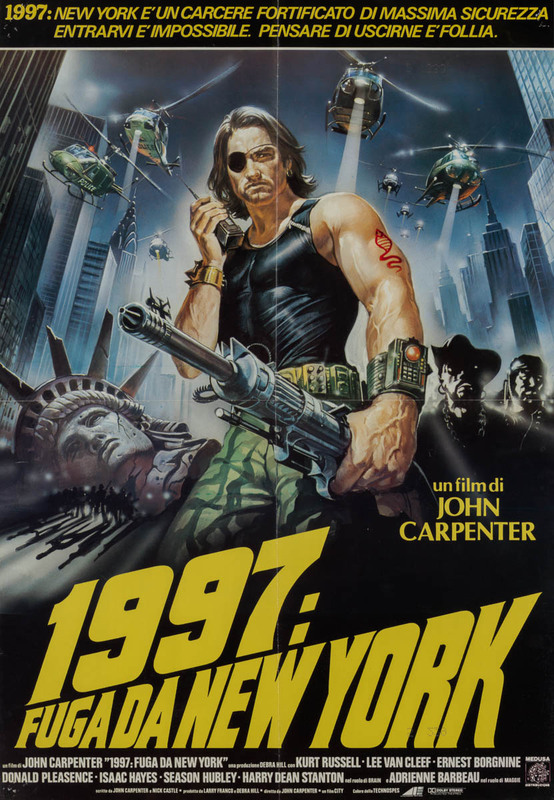 It’s not surprising that Kurt Russell considers it his favorite film and Plissken his favorite role. Part dystopian sci-fi, part exploitation film, all badassery. This Italian poster with incredible art by Renato Casaro may seem familiar at first glance, but this particular size is incredibly rare. The Italian 1-sheet (27×39″) is a rare specimen regardless of title and they are highly sought after by collectors for display alongside similarly sized US posters. This Escape from New York Italian 1-sheet is the first I’ve ever seen!